You can use some of the same great products I use in my office right in the comforts of your home. I recommend Science-Based Products from Metagenics® because they meet the highest standards for research and quality manufacturing to help make natural approaches safer and more effective. Find online a wide range of products to meet your specific needs to help you reach your best health possible. Essential 0ils are revolutionizing the way families manage their health. Harnessing nature’s most powerful elements, essential oils are used for a very wide range of emotional and physical wellness applications – aromatic, topical and internal – to improve your lifestyle. Enjoy incredibly fresh tasting water by Water Revolution’s energized media solution™ technology. Infusing the very best media components to mineralize and energize the water the way Mother Nature does, results in a delicious outcome that closely mimics nature’s own healthiest drinking waters. 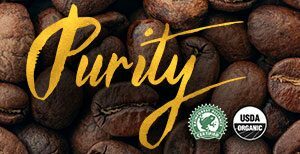 Choosing the right coffee is one of the easiest things you can do to improve your health, performance and longevity. But what is the healthiest coffee you can buy? We believe we’ve created that answer. Day-to-day life represents enormous challenges to our metabolism. BEMER applications boost the blood flow, thus benefiting the body’s cardiac system, regenerative abilities and even mental acuity. It’s the complete at-home solution for improving your well-being. Imagine being better tomorrow than you are today. 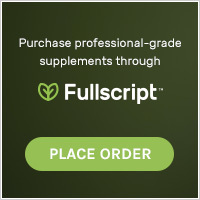 Fullscript is the safest and most convenient way to purchase professional-grade products. Search here for all my latest products! !